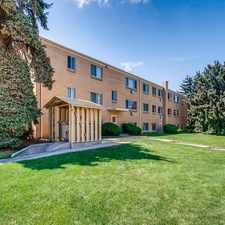 This apartment is in Greeley. Nearby parks include Luther Park, Montview Park and Lincoln Park. 1605 12th St 1 has a Walk Score of 49 out of 100. This location is a Car-Dependent neighborhood so most errands require a car. Central Air Conditioning, large, nicely updated 2 Bed 1.5 Bath Townhouse. Large 576 sq ft Detached Garage for your car and storage! (120 sq ft of garage space reserved for the landlord). Washer/Dryer Hookups. (W/D available for $30/mo). Large Living Room Plus Dining area. Additional Off Street Parking. Please bring current pay stubs or other proof of ability to pay to the showing. Application fee $45. Explore how far you can travel by car, bus, bike and foot from 1605 12th St 1. 1605 12th St 1 is in the city of Greeley, CO. Greeley has an average Walk Score of 40 and has 92,889 residents.